Relaxing Double Hammock w/ Stand - Eat Move Meditate - Simple habits. Sustainable health. Designed for two, share the double cotton hammock with a friend. The breathable fabric makes relaxation effortless. 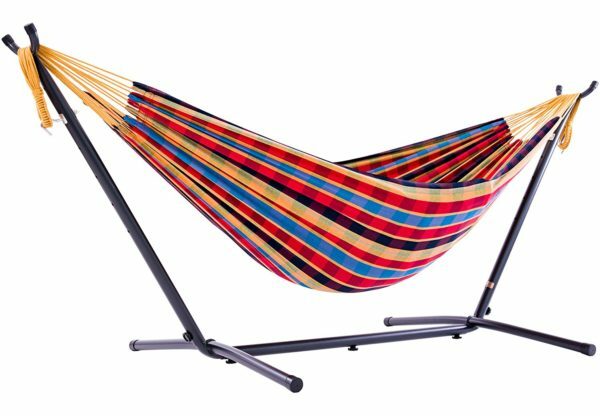 Assemble your hammock and stand combo in minutes, without any tools. A premium carry bag is included. Make the world your new relaxation zone with a lightweight hammock and stand combo.